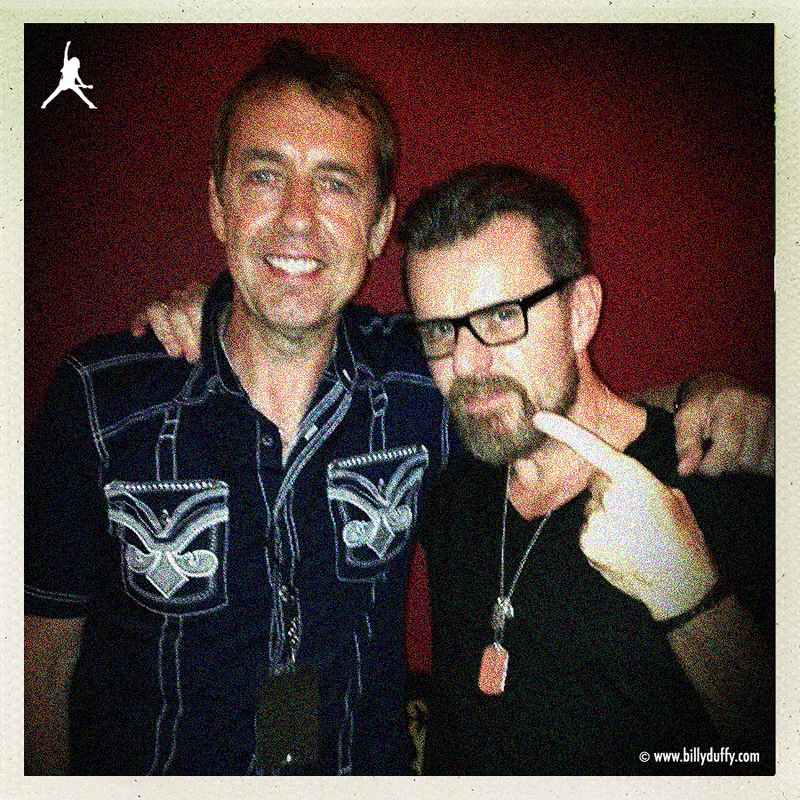 Billy & Mark Brzezicki backstage after The Cult 'Electric 13' gig at The Fillmore, Charlotte, North Carolina on 10th August 2013. "A fantastic gig in Charlotte was made even more special by catching up with a few old friends from the UK. Long time pal and 'Coloursound' collaborator Mike Peters was in town as he's touring with Big Country which also meant Mark Brzezicki was there too. Mark had played drums on the 'Love' album so it was great when he jumped up and played 'Rain' with us in the show!"